Twenty students participated in the service-learning project, The Grandparent Project, which was supported through a Learning to Give mini-grant. After incorporating the lessons, Why Do People Give and Living History-A Intergenerational Philanthropy Project, students were trained and informed on how to be sensitive in regards to people who are older and different than them. “These lessons were great in encouraging the idea of friendship with our senior citizens,” Ms. Kerschner said. Students sent surveys to residents at a local nursing home that included questions about the residents’ interests, hobbies, likes/dislikes, and the their best advice. After receiving the survey results, students worked together to budget and plan what they would purchase for their assigned resident. 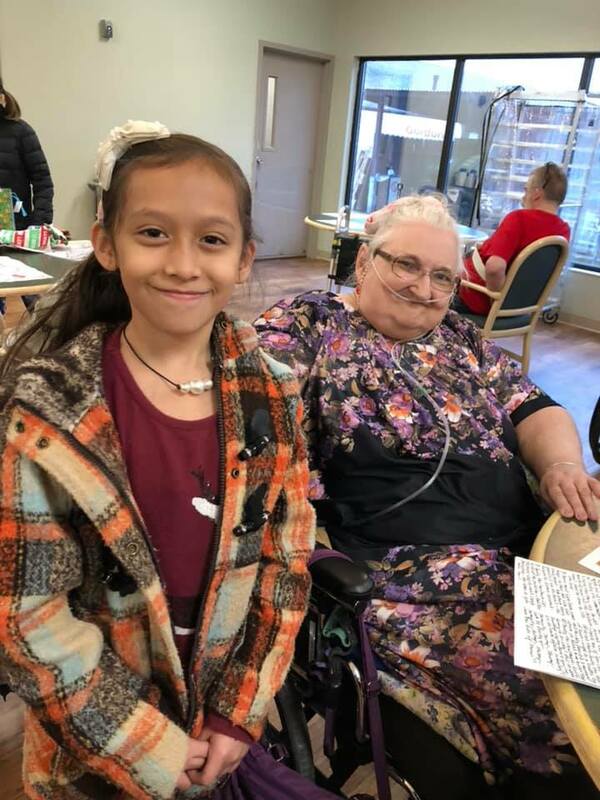 Each of the students wrapped their presents and made Christmas cards for their "grandparent” which was given to them at a Christmas party at the nursing home on the last day before break. Students showed leadership in choosing what to buy their grandparent, going to the store and buying their presents, wrapping them, and personally gifting them to their grandparents. “Seeing them take leadership in this role was amazing,” Kerschner said. The class learned social emotional skills by becoming “more aware of how to read whether someone was enjoying themselves,” said Ms. Kerschner. They were more conscious of when someone was lonely and needed someone to talk to them. They also found that someone could be happy by simply being present and pleasant, without needing to use words. A student said, “My adopted grandparent was deaf, and he had his nurse help him say thank you to me. I knew he liked western novels, so I found one specifically for him. He said he was so excited to read it." This service project allowed students to make a difference in their community where there was a need. They were able to befriend someone who was older than them, which helped them to understand and appreciate the differences that exist between people.